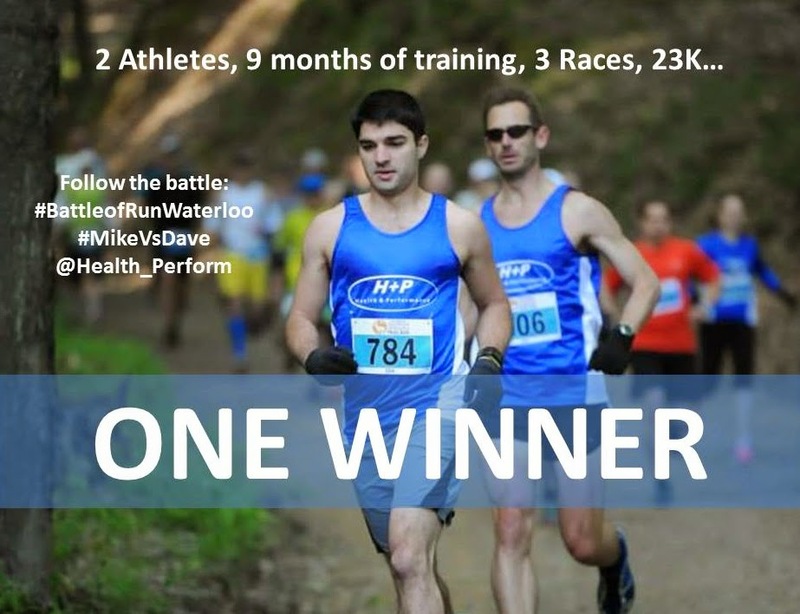 As many of you already know, Mike and Dave are going head-to-head in the inaugural Battle of Run Waterloo. 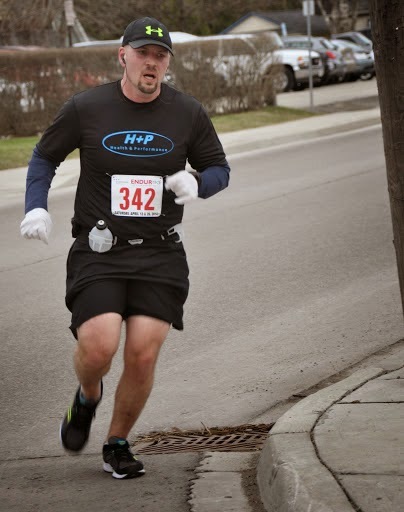 After stage 1 (2014 Re-Fridgee-8er 8K), Dave has a lead of just over 1 minute! That being said, the race is far from over. 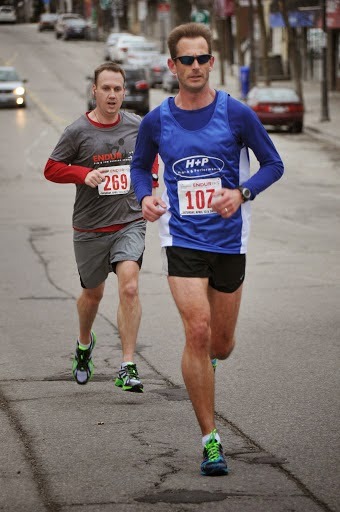 In recent weeks, Mike beat Dave by approximately 2 minutes in a 7-Miler. The next stage, the Waterloo 10K Classic, may very well be the deciding stage of this race. To make things even MORE interesting, not only will Mike and Dave be racing as individuals, but they will be racing as captains of their own H+P teams. Each team will be selected in a draft format. A coin toss will decide who gets first pick. The individual with the 2nd pick will also get the 3rd pick. Then the two captains will alternate picks until their teams are complete. The results of the draft will be LIVE TWEETED at 9:00pm on June 2nd! Make sure to watch our twitter feed to see how it all unfolds! We can't forget the rest of the team participating in the battle. Right now we have a number of athletes fighting for spots on the OA and their AG podiums. After stage one, we have six runners (Sean, Dave, Mike, Greg, Brendan, Pat) all in the top 11 OA. Vicki Z is also in contention for the OA podium on the women's side as she now sits in 4th OA. 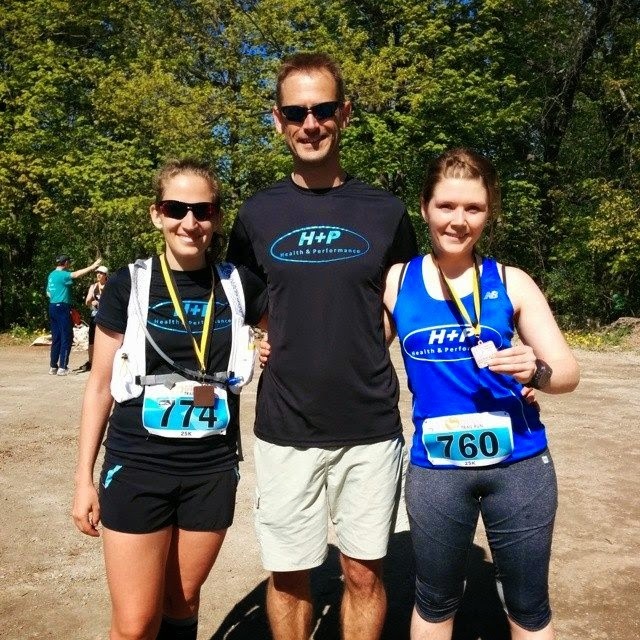 H+P Racing: Somewhere around May 25th, 2014! With our next big, collective team focus still a few weeks away, the team was spread out throughout a number of different races this weekend (and last). Here is a summary of how we did! Steve Parke had an amazing 100M! He came in with a time of just over 18 hours. The was good enough for 2nd OA, and put him in front of 3rd place by almost 1.5 hours! Helen had an outstanding race. She crushed the technical 25K run in 2:17, taking 6 minutes off her time from last year! Linda also had a great race. She finished with an outstanding time of 2:26! 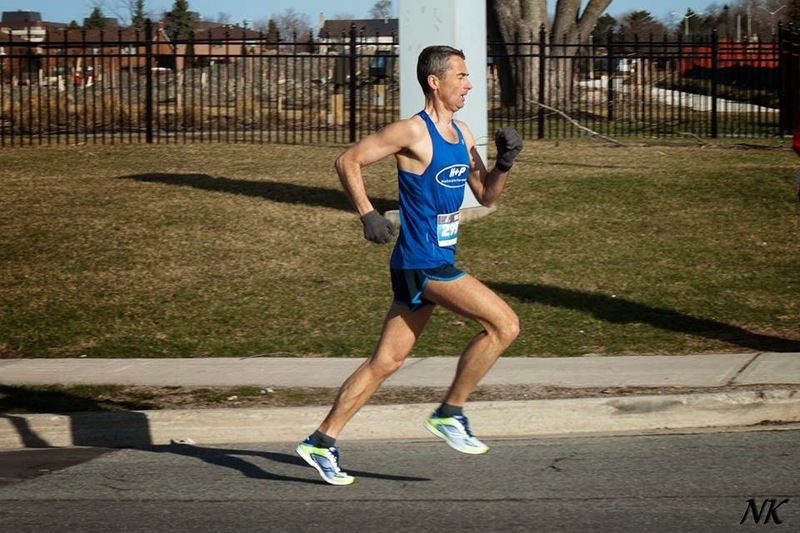 Dave Rutherford crushed the very technical 10K course in a time of well under 39minutes. This allowed him to comfortably win his AG, and place 4th OA. Luke had an outstanding race. He finished the sprint triathlon in a time of 1:05. This put him in second place in the very competitive 40-44AG. Graham Dunn DESTROYED this race. If you don't know what it is: basically you race triathlons all weekend long. Friday is a short sprint tri, Saturday you race TWO separate Olympic Triathlons, and then Sunday you race the Half Ironman. Mr. Dunn managed to finish in a very impressive 16th place OA, and achieved a personal best in the event by 45 minutes! Vicki Z had an amazing break-through race. She crushed the marathon, finishing with a time of 3:32. This was a 19 minute personal best, and brought her in ranked 3rd in her AG! Tracy made some last minute arrangements, and ran the half in a very respectable 1:47! This brought in 10th place in her AG, nice work! On June 1st, there is going to be a great 5K race and 1K charity walk taking place at Bingemans. It is for a cause that is near and dear to H+P-er, Jan de Visser. CLICK HERE for full details. On September 3rd, 2011 Jan de Visser went on a fateful bike ride that almost killed him. What was supposed to be an easy brick ride in preparation for the next week's Muskoka 70.3 ended after barely 5km in the passenger side door of a minivan. He sustained a broken neck, bleeding in the brain, a shattered cheekbone and eye socket, eye damage, and a broken collar bone. While the physical injuries were relatively quick to heal, the bleed in the brain caused a traumatic brain injury (TBI) which is still causing him problems: memory, planning and organization, and mood are all impacted, and in addition he now suffers from epilepsy. Being able to get back to running and later riding was a major factor in his recovery: it kept him sane, forces him to pay attention to his diet, and his training provides structure to his day. For the foreseeable future he will be a duathlete though instead of a triathlete. WELL-stocked swag bags and "insanely high-valued prizes." 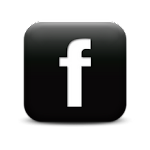 If you want to race or volunteer, click here for more info. 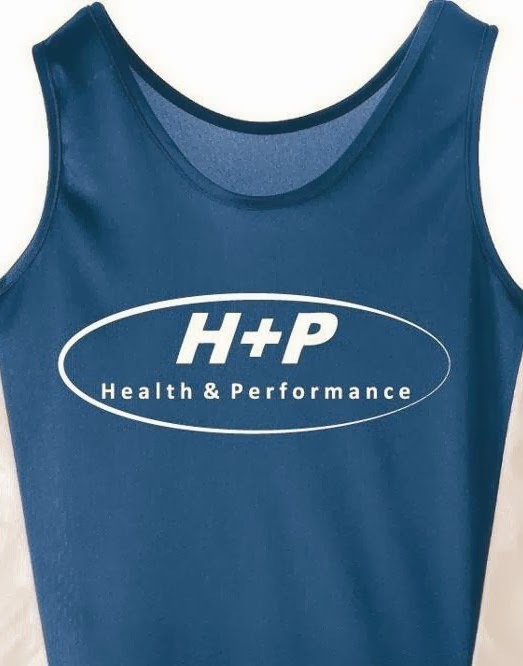 H+P had an excellent experience at the 2014 Baden Road Races. There were a few new features in this re-branded version of the New Hamburg Classic Races. Our favourite addition to the already outstanding event was the hill challenge. In the middle of the 7-miler, there is a massive hill that is also timed. Run up the fastest, and you get a new pair of shoes! Click here to read the WRS race recap. Luke was the first in for the team. He crushed the 7M course, finishing 2nd OA, winning his AG. This is his 4th race in a row with the team where he has stood on the OA podium! Greg worked with Luke for much of the race. Finally kicking his training into gear, his fitness is starting to build. He finished 3rd OA, and won his AG! Mike had an AWESOME race for the team. He forgot that he was supposed to be tired after the marathon from last weekend! He came in 3rd on the team, 5th OA, and averaged 4mins/K for the 7M course. Dave Rutherford, coming back from his Achilles injury, was in next for the team. He finished in under 47 minutes, won his AG, and placed 8th OA. Mailman came in right behind Dave. 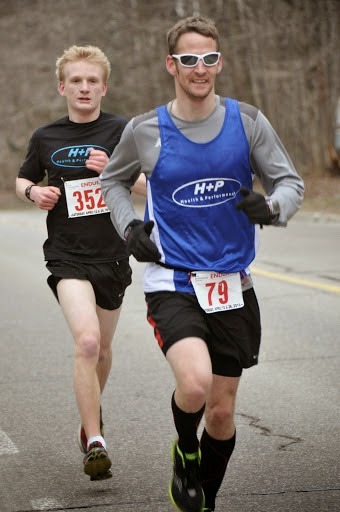 He finished in 47 minutes, and 9th OA, making him the 5th H+P-er in the top 10! 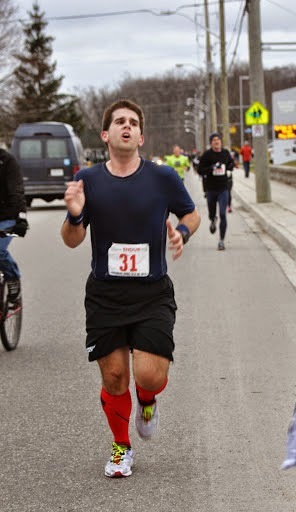 Nick Burt was unable to draft his nemesis in this race (Mailman), but still finished in just over 48 minutes. He still comfortably won his AG. The season series of Mailman vs. Nick now sits 2-1 in Aaron's favour. Jessica was the 1st woman in for the team. She ran very strong, finishing 2nd OA for females, and winning the hill challenge! Payton was our next female to finish the 7M. She ran a very strong race of just over 53 minutes, placing 2nd in her AG and 6th OA. Will hammered a great 7M, finishing 2nd in his category. Cari also had an awesome race, cruising in with a time of just over 1:10! 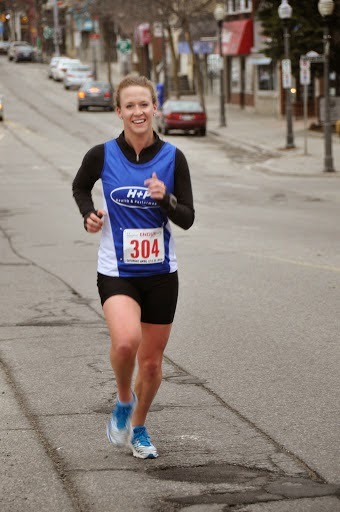 Friend of H+P, Catherine, had an awesome return to action after 6 months away form racing. She won the race in 21-minutes low. Next in for the team was Holden. He had a great race, finishing in well under 25 minutes. Pretty darn good for a 10-year-old! Ed was in next for the team. He ran a very strong 25:05, placing just inside the top 30. Maria had an awesome race, coming in just over 30 minutes and winning her category! A HUGE thanks goes to Daniel Cook. He got up before 5am, did his long run, and THEN made the trip out to cheer on the team! Also, a big thanks goes to Brendan who came out to cheer people on and take pictures at the base of the climb. You guys made the race experience better for everybody! Way to represent H+P! Mike Piazza battled hard and finished with a final time 3:11:22. This time was good enough for 2nd in his AG! 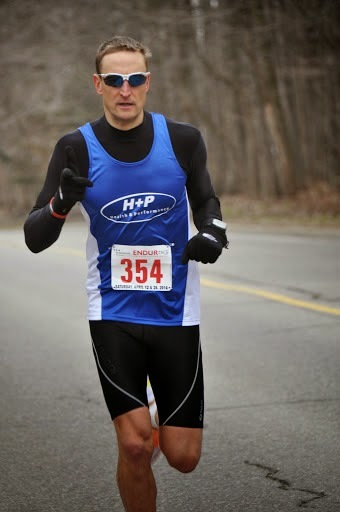 Rob Brouillette ran another very sold 10K. He finished with a time of 33:44, winning his AG and placing 4th OA. Chris Goldsworthy crushed his half with a new PB, hitting 1:25 low! Pat had a massive PB, running 1:25! This was good enough to place him 4th out of over 200 runners in his AG! Katelyn also had an amazing result. She wanted to break 2 hours...and she did that by over 10 minutes, coming in with a time of 1:49! Tracey finished with a VERY strong time of 3:46! Nice work! 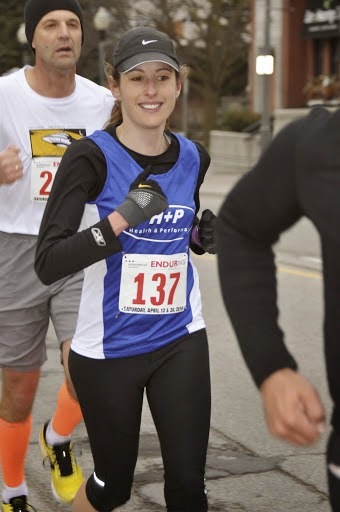 New H+P-er, Nicole Green had an awesome race. After taking some time away from running, she still managed an excellent time, running 23-low! Taters ran his first ever 3K, in 15:50 and came in 20/148 in AG 5-9 (not bad given he's only 6) and Holden ran his 2nd ever 5K in a good time of 23:21 and came in 13/46 in AG 10-14 (and he's only 10). Good results for a cool and windy day! 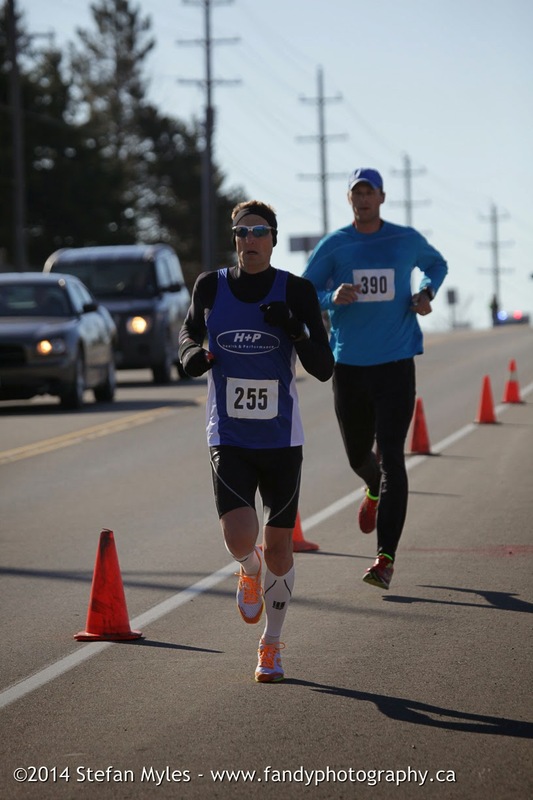 Less than 24 hours after we raced the ENDURrace 8K the team was back in action trying to conquer the 2014 Waterloo Half and Full Marathon. Luke had an awesome race. 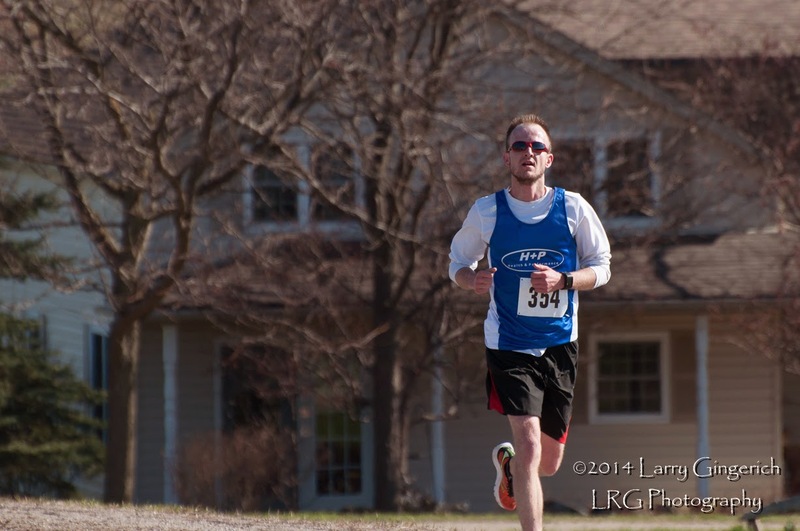 Despite just racing the 8K the night before, he still manged to run under 1:24 and finish 3rd OA! Coach Dyce was in next for the team. Despite limitted training because of travelling, he still pulled off a 1:26 half and placed 6th OA. Adam Dixon had an outstanding race. He had a massive PB, running 1:29, and just cracked the top-10 OA! 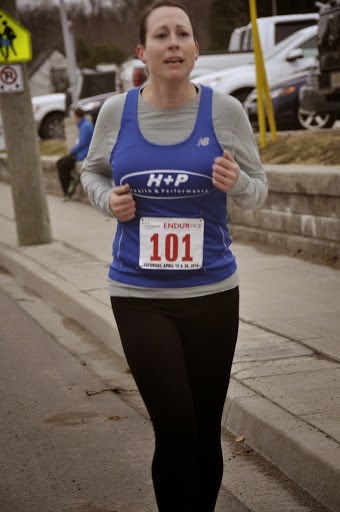 Vicki, like Luke, had just raced the 8K the night before. Despite that, she still crushed a 1:41minute PB, bringing her in 11th OA! Will had an awesome half. Running much of the race by himself, he still finished with a very respectable time just over 2:10. 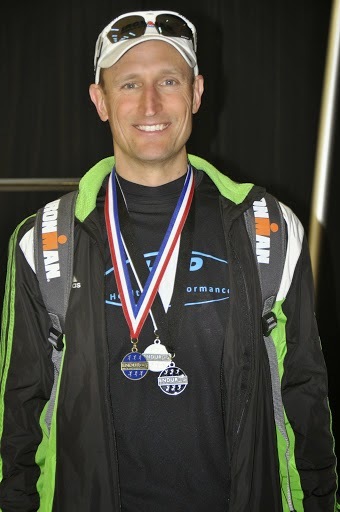 Also we have to say congrats to Ed, who trained with us last summer, on his OA win! We only had ONE H+Per in the full. Despite just racing a 50K the day before, Steve still crushed a sub 3:30 marathon, placing him comfortably in the top 15 OA! It's hard to believe that yet another ENDURrace has come and gone. 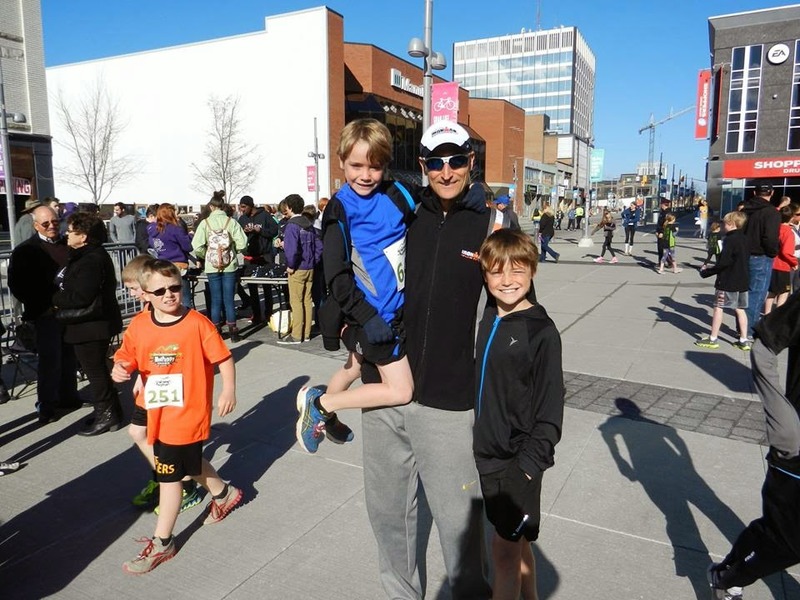 Two weeks ago we had an amazing experience at the ENDURrace 5K, with outstanding team results. It was going to be tough to top that effort, but we gave it out best shot. Also, thanks again to Julie from the WRS for the great photography! As a team, we had better than anticipated result! Despite missing many of our key members, we still managed to have the top 4 finishers in the race overall, and the 2nd and 5th place females overall. Our open team finished with an outstanding average time of 30:34! RESULTS. Brendan Hancock had an excellent race. Running alone for the duration of the 8K, he managed to take 1.5mins of his 8K time from Feb, running a mid-28, and winning the race OA. Luke Ehgoetz had yet another awesome performance. He came in second overall, well under 30 minutes, and first in his AG. Nick Burt was the next runner to come in. He completed the podium sweep for H+P, finishing in 3rd place after just barely edging out Aaron Mailman in an epic sprint finish. Aaron Mailman came in next with a huge PB of 30:44, good enough for 4th OA and 1st in his AG. Jessica was next for the team and our first female. She had an excellent performance, finishing in 33-low, and placing 2nd OA for females! Vicki was our second female across the finish line. She has yet another PB, and handily won her AG! Dave Rutherford showed true determination and grit. Doing nothing but recovering from injury and run walking over the last 2 months, he had a great, controlled effort. While it was supposed to be a rehab run, he still manged to walk away with a 33 minute 8K that was good enough for the AG win! Daniel Cook had an awesome first H+P race. He had a massive PB, and placed first in his category! Cari also had an awesome race. She had a huge PB, coming in well under 46 minutes! Shantell had a great return to action as well with the team! As did Jeremy Tracey. The momentum is starting to build with both of them again! Cari came in top 10 in her AG when her two PB's were combined!